LG G7 one (aka LMQ910) is LG’S first one to be upgraded to Android 9.0 Pie within 2018. 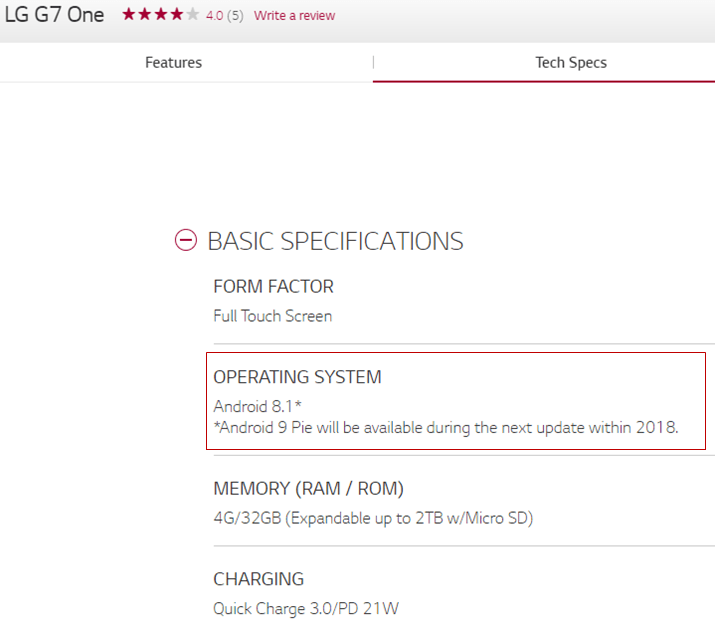 According to Google Android Enterprise website listing, The G7 One carrying the model number LM-Q910 is eligible to get the Android 9.0 Pie update! LG Canada official also promised that the Android 9 Pie will be available during the next update within 2018. Like many other LG handsets sold in Canada, The LG G7 one (Q910) was supported by LG Bridge. The Android 9 Pie software Update will be available via OTA and LG Bridge. The Stock KDZ firmware for LG G7 one (Both Android Oreo and Android P) will be available for download when LG release the Android 9 Pie software Update! Need to check the latest firmware for your LG G7 one, Visit http://lg-firmware-rom.com! For your information, LG has not released the firmware for LG G7 one Yet.